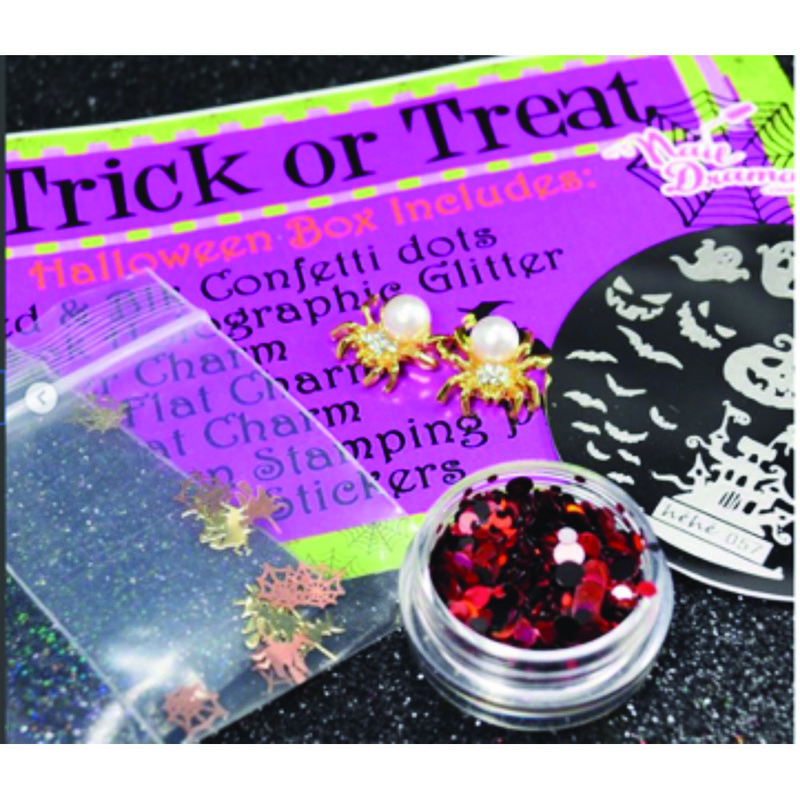 Awesome fun halloween items! Confetti glitter, stamping plate, black holographic glitter and so much more!!! October 2017 NailDrama subscription box.